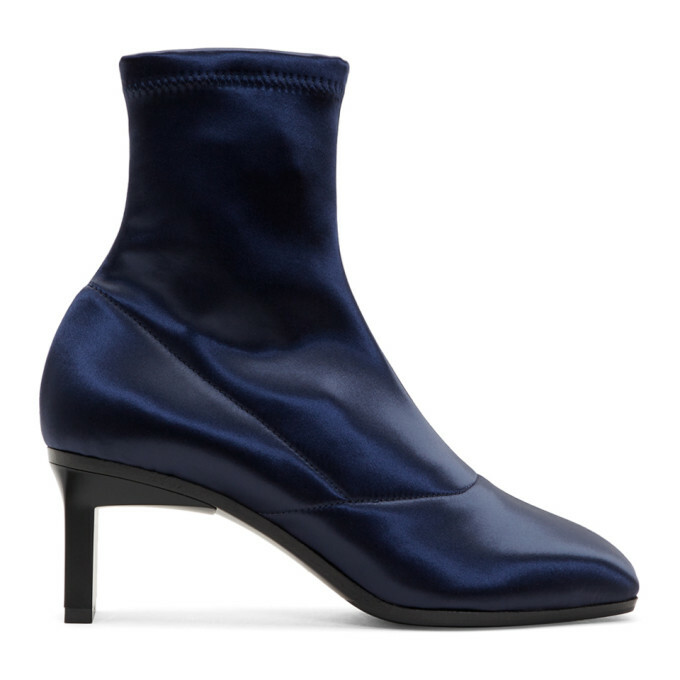 Mid calf satin boots in navy. Square toe. Elasticized collar. Textile lining in black. Rubber block heel in black. Leather sole in black. Tonal stitching. Approx. 2 heel.